Saint Joseph's Day celebrates St. Joseph who is the patron saint of the Catholic Church, unborn children, fathers, immigrants, and workers. It occurs every March 19th but always on a Monday. It is traditionally celebrated by having a huge feast in the saint's honor. It is a day in Venezuela that most workers get off and it is a national holiday. 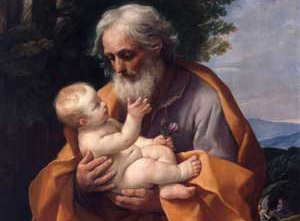 St. Joseph is the husband of Virgin Mary to which he played an important role in the birth of Jesus by supporting Mary. He was named a saint and therefore celebrated in a national holiday. Provides the dates for holidays for the calendar year for Venezuela.